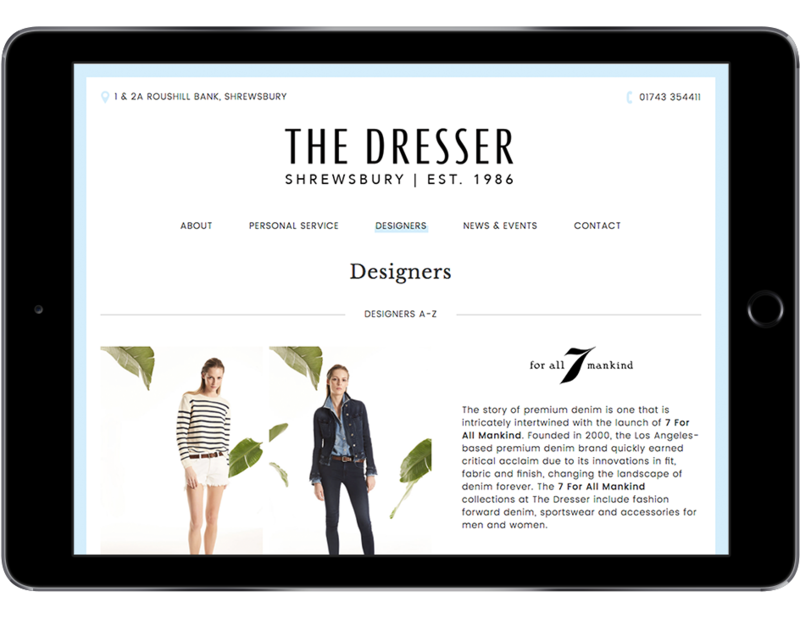 The Dresser has been established in the heart of Shrewsbury for over 30 years and has a reputation as the leading women’s wear shop in the area. 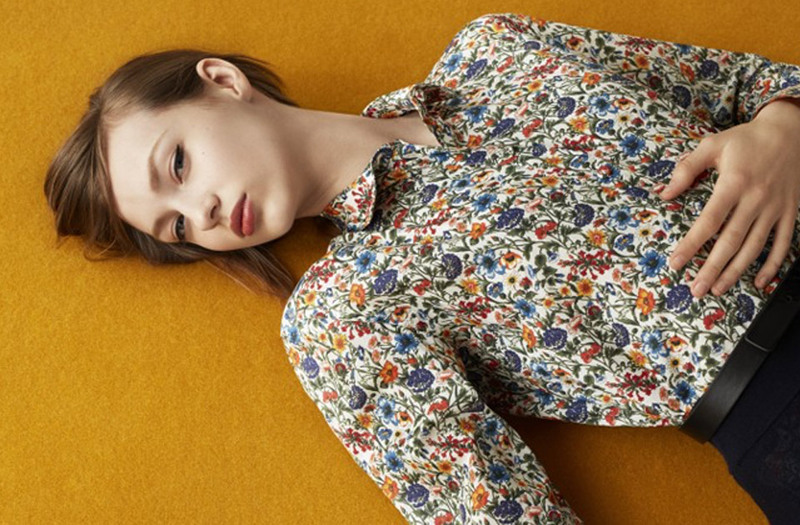 Over the years the business has grown and evolved, adapting to the ever changing fashion retail environment and demonstrating an innate ability to spot consumer trends and identify the next big labels. 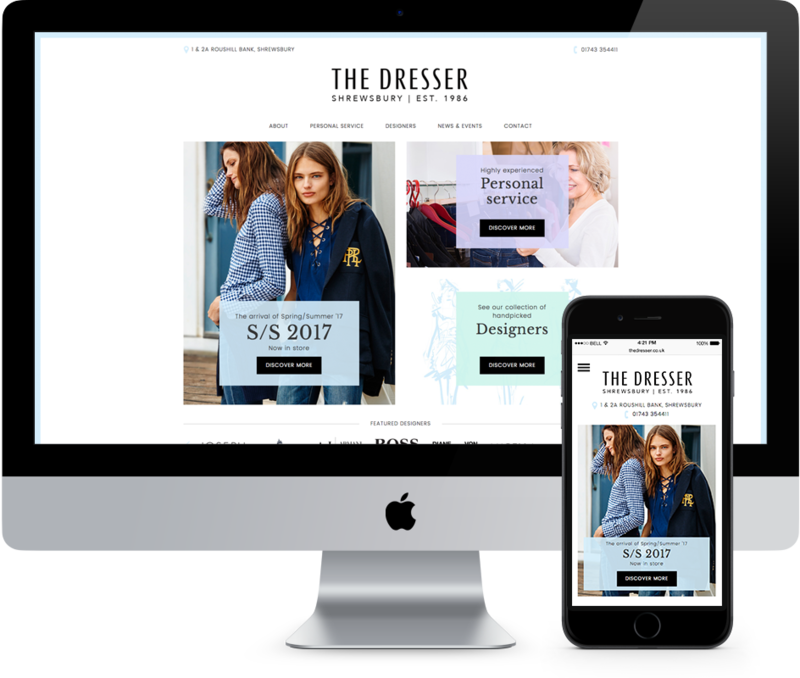 They required a modern high-end refresh of their website that would showcase the luxury fashion designers and personal approach to shopping, as well as enhance user experience. 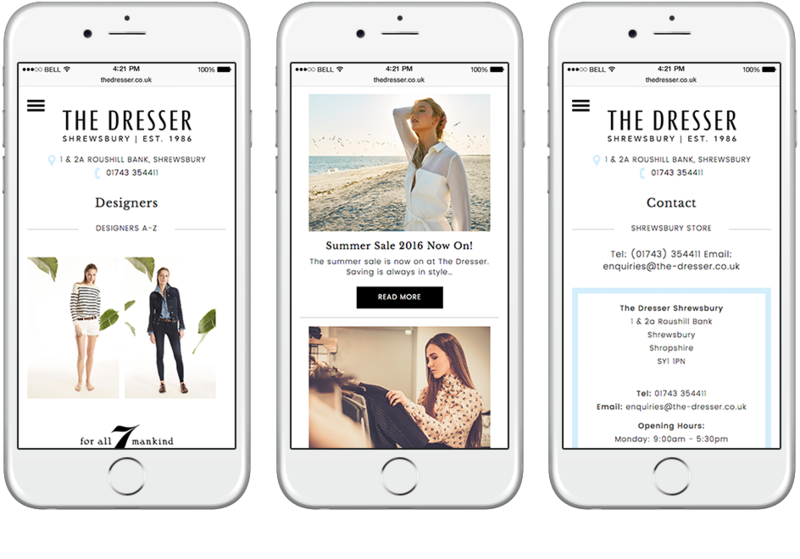 The new responsive design ensures that customers are quickly and easily able browse their range of long established, prestige designer brands alongside a collection of newer generation labels from any device. We removed the dark black background and introduced a new much lighter colour palette and created easy call to actions throughout, to encourage customers to visit the Shrewsbury store.